HuiRu is Singapore Permanent Resident. She was born in the ShaanXi Province (陕西省西安市), China. She teaches Chinese and Higher Chinese at Primary and Secondary levels. She has more than 5 years of teaching experience. 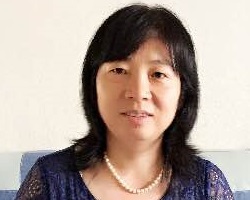 HuiRu obtained her Bachelor Degree from LanZhou GanSu University of Technology (兰州市甘肃工业大学) in 1985 and worked as a Hydraulic Engineer for more than 10 years. In 2002 she was offered a sales job to work in Singapore. She became Singapore permanent resident in 2004. As she is known to be a patient and caring teacher in the church Sunday School, she often receives requests to be a part-time Chinese tutor for children. HuiRu became full time teacher with a local enrichment centre in 2011, covering students age 3 to 12. 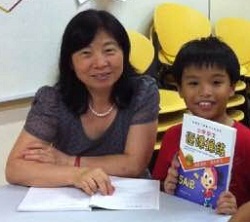 She soon acquired the skills of motivating Singaporen students to learn Chinese. Through purpose-made play lessons, she contextualizes scenarios and situations to stir up students’ curiosity in Chinese. Learning take place naturally when students are captivated by lively and interactive lessons. HuiRu always makes an effort to affirm students’ achievement by encouragement, positive guidance and timely recognition. These are important forces to motivate them forward for greater learning. It helps student to identify personal strength and enhance self-confidence. As she receives more requests for private tuition, HuiRu decided in 2014 to be a full time private tutor. With years of teaching experience in Singapore Chinese and Higher Chinese, she is well-versed with syllabus and is familiar with common mistakes made by students. Her teaching style often leads students to be self-motivated and be a confident Chinese learner.